This book provides students with a clear and concise guide to studying undergraduate courses in qualitative consumer research and ethnography. The authors present the major qualitative research approaches used in consumer and marketing research as well as practical procedures and theoretical aspects of research design, report presentation etc. In addition to that a weekly study guide, including comprehensive reading lists, completes the book. Qualitative consumer psychological research is central to understanding consumers and produces veracious consumer insights. However, no study guide format book exists that provides details of a course in qualitative consumer research. This book focuses upon newer techniques (e.g. : netnography) and implementations of traditional approaches (focus groups, in-depth interviews, etc.). Ethics are considered in the context of contemporary research approaches. 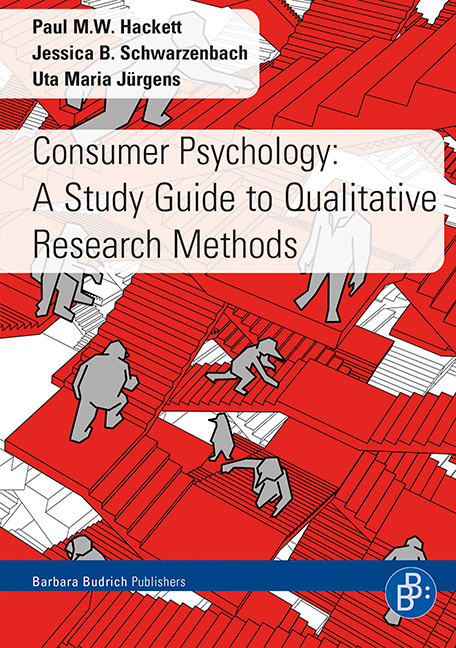 This book coherently presents a course and assessment in qualitative consumer research. The book can be read alone or supplement more general textbooks in this area. The book is for university students at all academic levels and comprises five sections: Section 1: Planning the Research; Section 2: Approaches to consumer ethnography and qualitative consumer research; Section 3: Practical procedures; Section 4: Reporting the results; Section 5: Course assessment. Section 1 prepares students for the practical research procedures in section 2. This second section gives details about why and when the selected approaches are used. Section 3 specifies how to conduct each procedure. Section 4 discusses data analysis and result presentation. Section 5 details course assessment. Each research approach is presented along with its theoretical grounding and then students are guided in undertaking each procedure.